Alan Arkin – "Long speeches take too long to learn!" – Winning. Words. 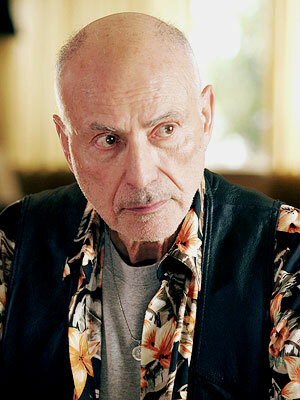 Alan Arkin – "Long speeches take too long to learn!" Congratulations on being the first member of our 100 club! The 100 club? I’m not old enough! Is that true? I better lie down then, I’m awfully tired. Have movies changed much since you first began? I feel like they used to be a lot more personal than they are now. Over here anyway it’s got a lot more corporate. Except for the low budget films. I have learned never to do night shooting and never do any long speeches. Night shooting is exhausting. And long speeches just take too long to learn! I want to have fun these days. How was it winning the Oscar? You know, I have a lot of mixed feelings about it. I don’t feel like anybody in the world has the right to say who’s done a better performance than somebody else. What’s kept you in the industry for so long? I’m still alive! That’s what’s kept me in for so long. It’s a way of making a living. What advice would you give somebody entering the industry? Keep out of thinking of it as an industry. I went into it thinking of it as art. If people want to go into an industry, they should go to a business administration school. Previous Michael Cera – "I have no perspective on myself whatsoever"
Next Ron Livingston – "At least Berger left a note!"